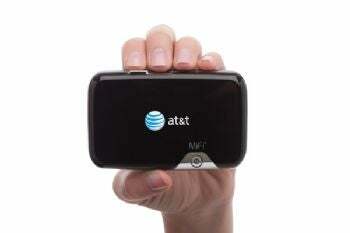 AT&T has had very mixed feelings about allowing tethering and hotspot devices on its network, but now the carrier and will sell Novatel's MiFi 2372 hotspot, which will connect up to five Wi-fi devices to the AT&T 3G network. And the 2372 is no ordinary hotspot. It has its own OS on-board (MiFi OS), on top of which users can access a series of apps and widgets. All of the devices connected via Wi-fi to the hotspot have access to those apps and widgets. 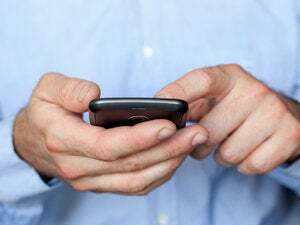 For instance, a business might equip its MiFi to automatically establish a VPN pipe back to home base for all the devices that it is connecting via WiFi. A weather widget might show up on all connected devices showing the forecasts and temperatures. Novatel, the maker of the MiFi, has an SDK that developers can use to make their own custom MiFi apps. Verizon made the MiFi famous in the U.S., but its version of the device--the 2200--has no OS, no custom apps and no widgets. Until now, the more advanced 2372 has been available through carriers only in Canada and Europe. The 2372 has a microSD card for storage, and contains a GPS radio (for things like weather and mapping apps). AT&T has custom built a user interface on top of the MiFi OS that displays what devices are connected to the MiFi, and how much data each has used against the allotment of the data plan. AT&T also says the MiFi 2372 is faster than other MiFi's, hitting download speeds of up to 7.2Mbps. That's a theoretical number; we'll try to get at the real-world speed numbers when we test the device in the wild. AT&T will begin selling the MiFi 2372 (AKA AT&T Mobile Hotspot) November 21 at AT&T stores nationwide, or online, for $49.99 after a $100 mail-in rebate. According to the AT&T site, you'll need a "qualifying DataConnect Plan" but no further plan information is available.